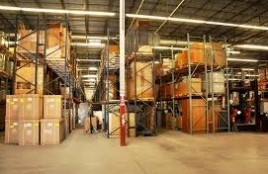 ArmorStar Unlimited is a leader in office furniture warehousing, storage, and inventory. We provide onsite, secured, climate controlled storage. All items in storage are photographed, inventoried, blanket-wrapped, then shrink-wrapped, and then labeled before careful storage. You can call and schedule an item(s) to be delivered at any time. We maintain a complete listing of your inventory for easy tracking and location. Our clients receive a complete detailed inventory of their items in storage for easy tracking at any time. Should you decide you no longer need items, we can manage the liquidation process.